Zhangjiajie has wowed the world time after time... In 1992, Zhangjiajie was designated a World Heritage Site for its awesome sandstone peak forest geology. In 2009, Zhangjiajie became famous for inspiring the movie Avatar. In 2016, the world&apos;s longest and highest glass bridge once again put Zhangjiajie in the spotlight. 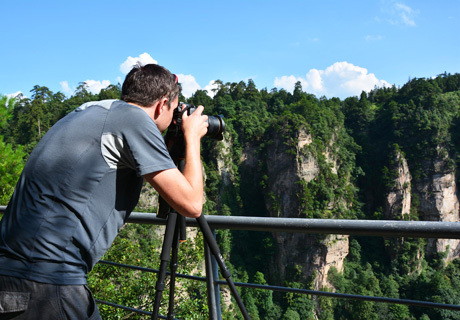 With 48 square kilometers (18 square miles) of scenic areas, each part with its own character, we believe that an excellent guide is essential for exploring Zhangjiajie National Forest Park. Our guides not only introduce the attractions, but also choose the smartest route through the mountainous area according to customers&apos; interests and needs as well as the weather conditions. Our guides are happy to make sure customers get the best possible accommodation and food as part of their invaluable service. Pandora is fantasy, but Zhangjiajie is real. Discover the real Hallelujah Mountains and enjoy the breath-taking views with our Zhangjiajie tours! These are the top Zhangjiajie itineraries to visit the highlights of the area, Glass Bridge, Hallelujah Mountains and Baofeng Lake etc. Remember all these Zhangjiajie tour packages can be changed according to your needs. This tour fits a short holiday for people having a short, focused trip to China. 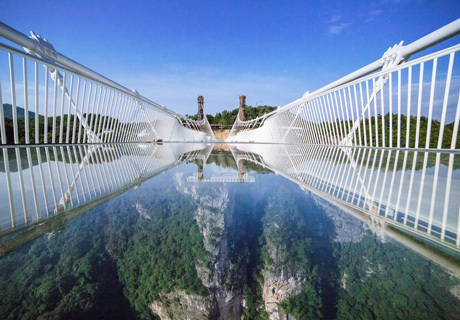 Get the best of Zhangjiajie and walk on the glass bridge! In this unique day trip you will have a chance to walk on the glass bridge, and proof your courage to the whole world! 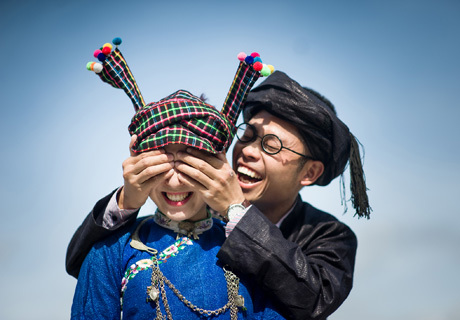 Explore a beyond ordinary route to unspoiled ethnic minority areas of Guizhou. Combine it with Fenghuang Ancient Town and Zhangjiajie. The most important historical destinations and extraordinary scenery destinations in China with special ways to explore! This tour will show you the highlights of Changsha, Zhangjiajie and Fenghuang Ancient Town, and will show you the hidden culture, charm and history of Hunan. This tour is designed for photography lovers and professionals. Accompanied by an English-speaking guide and a professional photography guide, time is very flexible. Enjoy the beautiful scenery of Zhangjiajie and feel free to inquire us if you have any questions. The following trip notes are provided for you to plan your Zhangjiajie Tour. Please inquire if you have any questions and our professtional travel consultant will reply within 1 working day. To reduce over-crowding, the Grand Canyon Glass Bridge Office has limited the number of visitors per day to 8,000, and divided the visiting times into morning and afternoon. Entrance tickets can only be obtained by reservation. Travel agencies have first priority for ticket reservation, and individual reservations are seldom accepted. We don&apos;t offer a Glass Bridge ticket booking service, but we have a best-value, customizable Zhangjiajie day trip including tickets and access to the glass bridge. We suggest you book at least 10 days in advance. 2. How to get to Zhangjiajie? By flight: Zhangjiajie is connected by direct flight with some major cities in China. 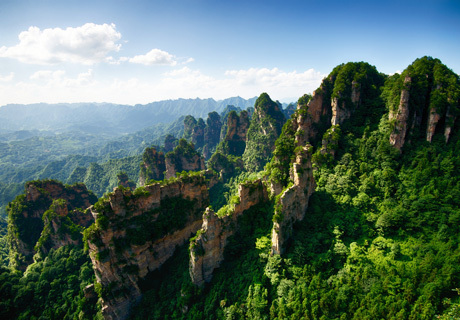 Cities with daily flights to Zhangjiajie include: Changsha (1hr), Beijing (3hrs), Shanghai (2½hrs), Xi&apos;an (1hr), Guangzhou (2hrs), Nanjing (2hrs), Qingdao (2½hrs), and Shenyang (5hrs with stopover). From May 15, 2015, daily flights from Guilin (2hrs), Wuhan (1hr) and Hengyang (1hr) will start operating. 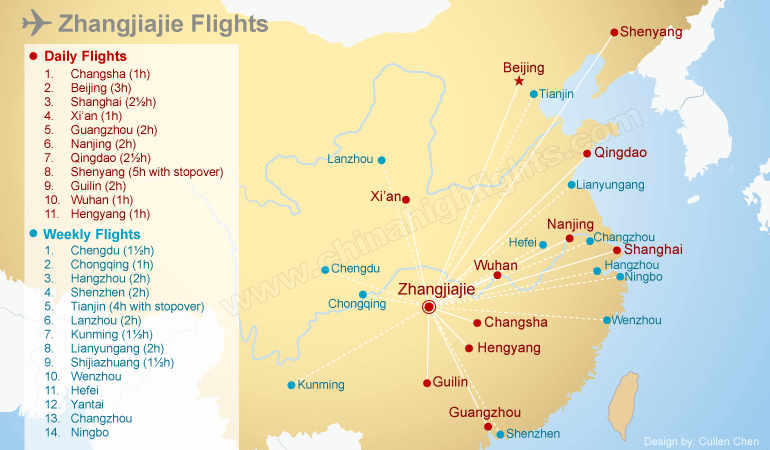 Cities with 2-4 flights per week to Zhangjiajie include: Chengdu (1½hrs), Chongqing (1hr), Hangzhou (2hrs), Shenzhen (2hrs), Tianjin (4hrs with stopover), Lanzhou (2hrs), Kunming (1½hrs), Lianyungang (2hrs), and Shijiazhuang (1½hrs). From June 15, 2015, flights from Wenzhou, Hefei, Yantai, Changzhou and Ningbo will start operating. By train: You can get to Zhangjiajie by train (6 hours) or flight (1 hour) from Changsha City, the capital city of Hunan Province, which can be conveniently used as a transfer place. Direct trains to Zhangjiajie are also available from Yichang (5 hours), Guangzhou (13 hours), Shenzhen (18 hours), and Liuzhou (12 hours). Go to Zhangjiajie from Hong Kong: There is no direct transportation between Hong Kong and Zhangjiajie, so one transfer is needed. You can first go to Shenzhen and take high-speed rail to Changsha (3 hours), and then transfer train to Zhangjiajie (6 hours). Another way is to go to Guangzhou Baiyun International Airport and take direct flight to Zhangjiajie (2 hours). 3. What is the best time to visit Zhangjiajie? Zhangjiajie National Park is open to public all year round, and the period from April to October is considered the best time to visit. April to June is the rainy season with extensive fog, adding an enchanting atmosphere to the scenery. From September to October the autumn foliage becomes colorful. 4. How many days should I take to visit Zhangjiajie? Generally speaking, 3-4 days are enough to see the main attractions of Zhangjiajie. 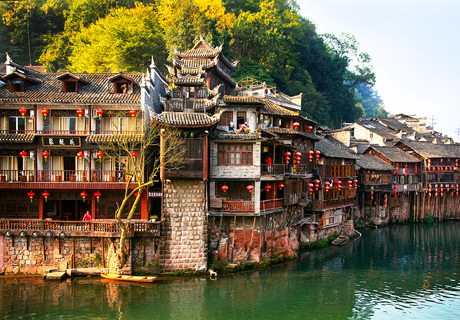 You can also extend the tour with a one day trip to Fenghuang ancient town, about 5 hours by car from Zhangjiajie. Zhangjiajie (张家界 /jung-jyaa-jyeah/ &apos;Zhang Family Area&apos;) is a small city and mountainous prefecture of northern Hunan Province in South China, fashionably popular for scenery tourism. The main attractions are Wulingyuan National Park (with the rock pillars, 40 minutes&apos; drive from the city, in the north of the prefecture) and Tianmen Mountain/ Tianmen Cave (a taller peak with the longest cable car, etc. on the south of the city).They are all often referred to as ‘Zhangjiajie&apos; out of habit and convenience. Wulingyuan Area contains Zhangjiajie National Forest Park (including Yuanjiajie and Golden Whip Stream), Suoxi Valley, Tianzi Mountain, and Yangjiajie. 6. How fit should I be to visit Zhangjiajie? A medium level of fitness is required for walking around Zhangjiajie. There are cable cars up and down the main mountains, but to see the scenery you need to walk for maybe 3 hours per day. Walking is not hard at the main attractions, where concrete paths and steps have been built for tourists. 7. Zhangjiajie, Jiuzhaigou, Huangshan (the Yellow Mountains) and Guilin are all scenic destinations, what are their differences? All these four places are listed into China&apos;s top 10 most beautiful natural places, but they each have their own features. Zhangjiajie is a World Heritage Site, featuring precipitous and precarious pillars that became the inspiration for Hallelujah Mountain in movie Avatar. 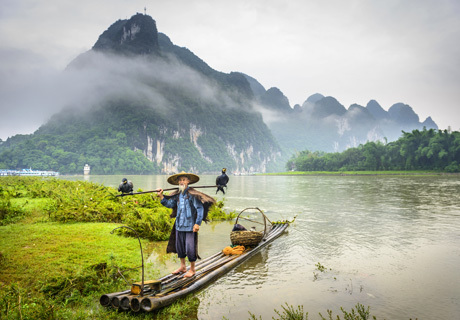 Guilin is known for its Chinese-painting-like scenery of hills and water, with numerous outdoor activities suitable for any level. At the Yellow Mountains you will marvel at the sea of clouds, peculiar-shaped rocks and pines, sunrise and sunset, and ancient villages nearby. As for Jiuzhaigou, it is a fairy land of colors formed by snowcapped mountains, lakes and forests.